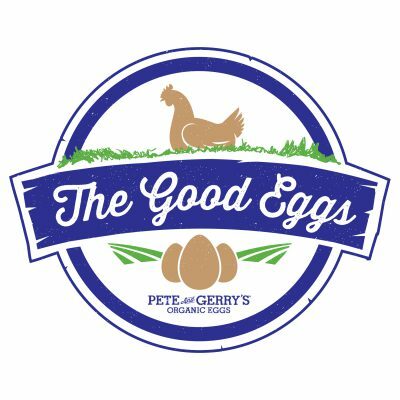 Sometimes the stars align and an opportunity presents itself to go and do something really cool and unexpected. 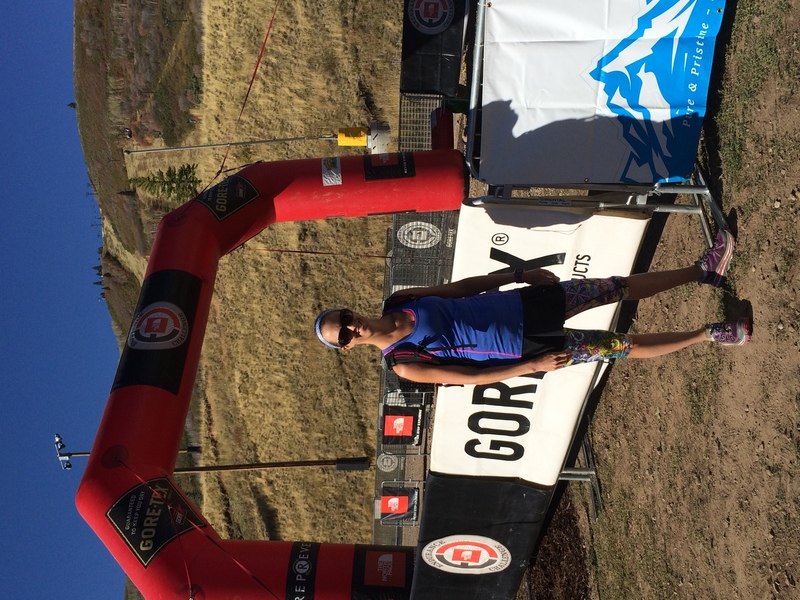 Sometimes you just have to jump at the opportunity even if it means you will be running 26.2 miles when your training has not been focused on running but on triathlon. 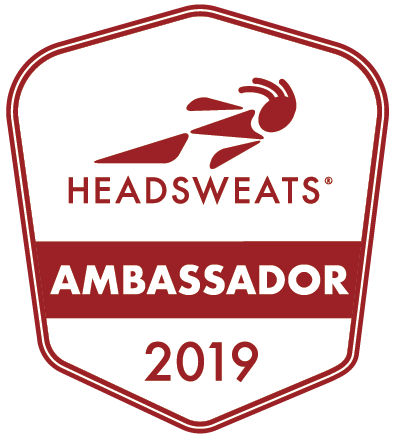 Earlier this summer I was offered an entry to the North Face Endurance Trail Race series as a part of my ambassadorship with The North Face Locals. I have been dreaming about running one of these races all summer but knew that the chances of being able to make a trip out west happen were slim. I put the idea out of my head and went on my merry way and continued my training for triathlon. About a week before The North Face Endurance Challenge Utah, I received a brief message on my twitter feed from The North Face Locals replying to an earlier comment of mine. Essentially it was a nudge to come out and race. 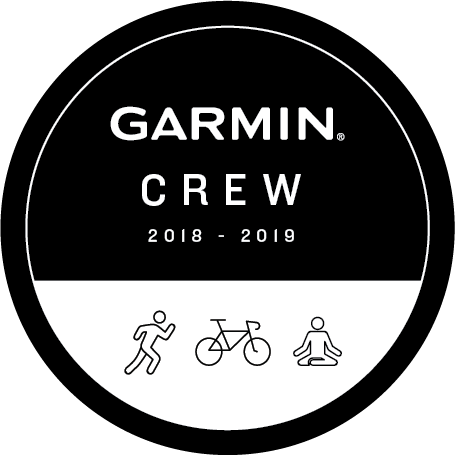 I had to pick my distance, Trail marathon, 50K or 50 mile. The 50K was tempting as I have never a 50K but I new that the altitude would be crazy so even a trail marathon might be totally insane. I was so incredibly excited and to make the experience even more amazing I got to bring my friend Bridget with me. 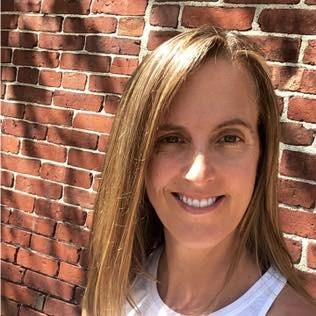 Bridget is the one who has trained with me for Boston qualifiers and two Boston Marathons even though she wasn’t even racing! 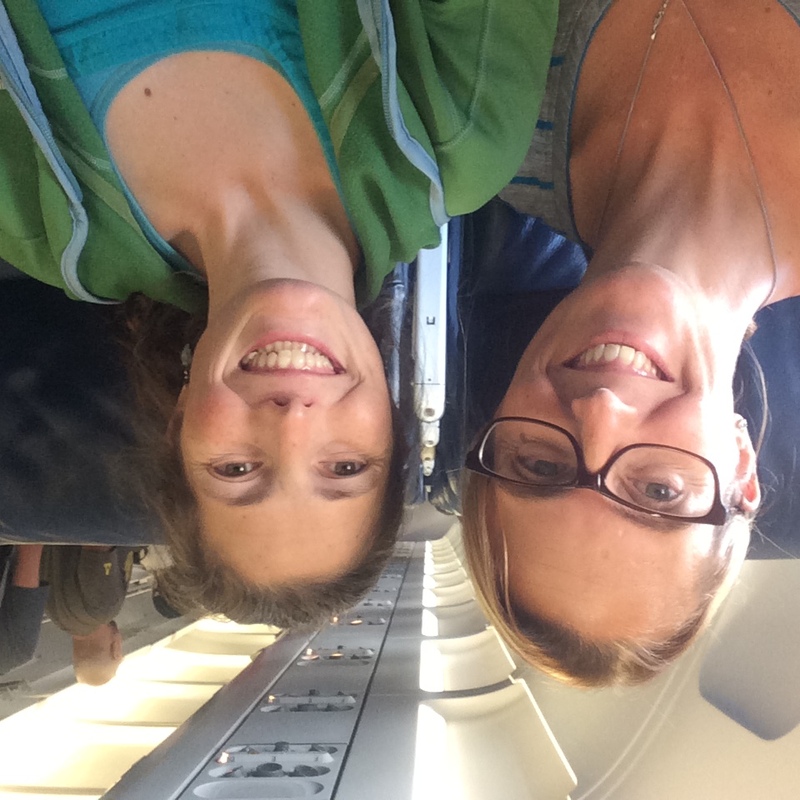 Trail Marathon Adventure here we come! The trip would be quick, only 4 days in Utah which meant no time to acclimate to the altitude. Oh and no time to officially train for a marathon. Ha! But, there was no time to think about that! I knew that even though I hadn’t officially been training for a marathon my body was in great shape from Half Ironman training. 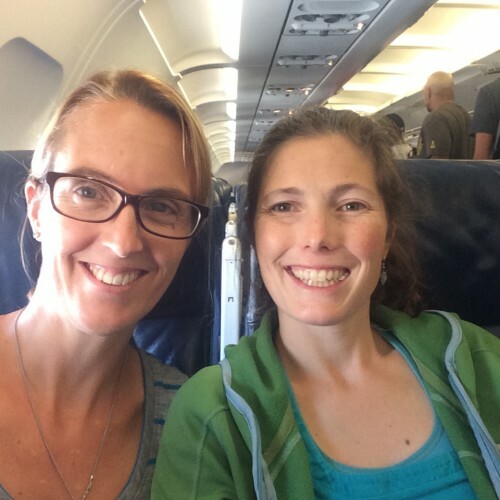 We flew out to Salt Lake City on a Thursday and headed to our hotel in Park City. We picked up our race numbers on Friday and were greeted by the high energy of the November Project Marathon relay runners. 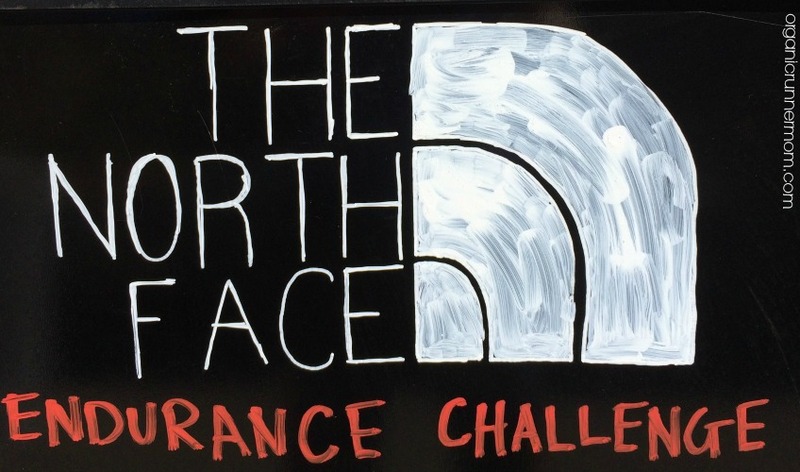 The North Face has recently joined up with the November Project to bring free Mountain Athletics Workouts to some November Project cities. 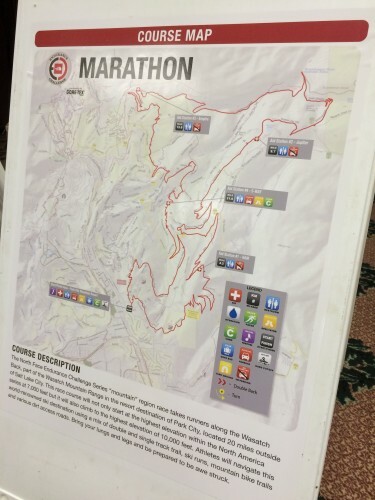 The November Project Summit was taking place in Utah and November Project participants were encouraged to come out to race and join in the energy. Think loud spandex and overflowing enthusiasm! Yikes! The course looks scary! 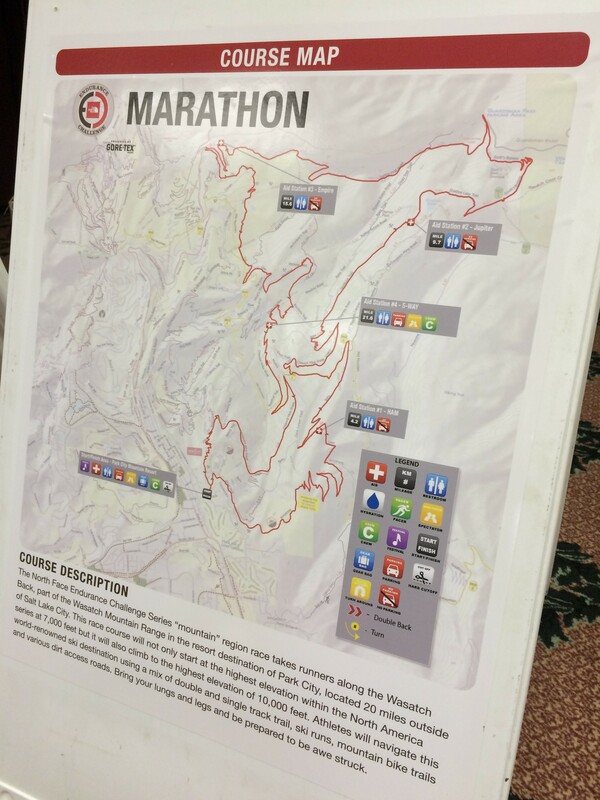 We checked out the course map and then squeezed in a 4 mile run at Park City Mountain Resort to check out some of the course. The weather in Utah was spectacular in fact almost a little warm but the dry heat felt different than the humid hot weather that we get on the East Coast. Our easy run felt wicked hard. Running on the flats felt good! We ran only four miles but our breathing was labored. We both questioned what we had gotten ourselves into but knew that we needed to embrace the awesome adventure. 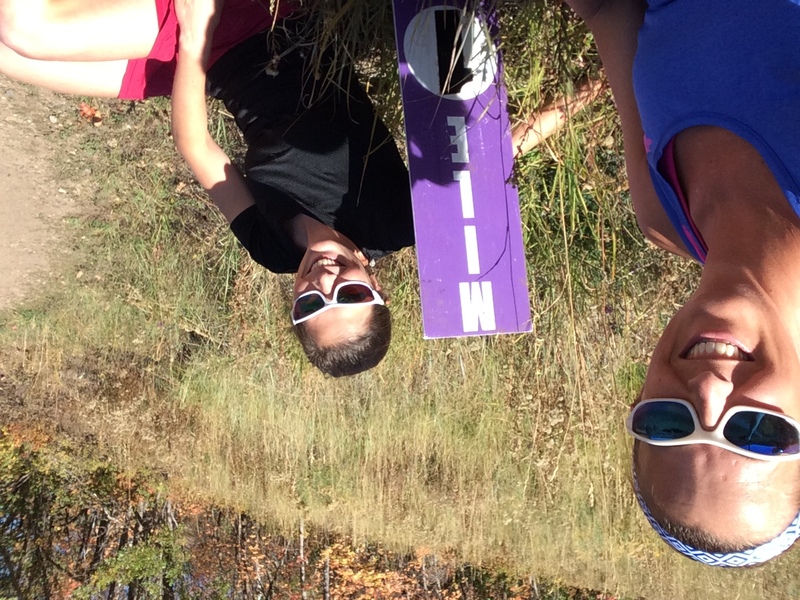 The course that we would be running on was the most amazing, smooth single-track and the foliage was spectacular. These trails were very different than what we run on back in New Hampshire and Vermont where the trails are usually an obstacle course of roots and rocks that can lead to some pretty tremendous face plants. After one mile we were exhausted! Wow! It’s much harder to breathe at this altitude! As a part of the race weekend there was a Pre-Race Panel with North Face Athletes Dean Karnazes and Diane Van Deren, and Endurance Challenge Race Director Nick Moore. We attended the panel which got us revved up to race! The discussion was filled with inspiration as well as great tips about the Park City Race course including to watch out for the moose along the trail! 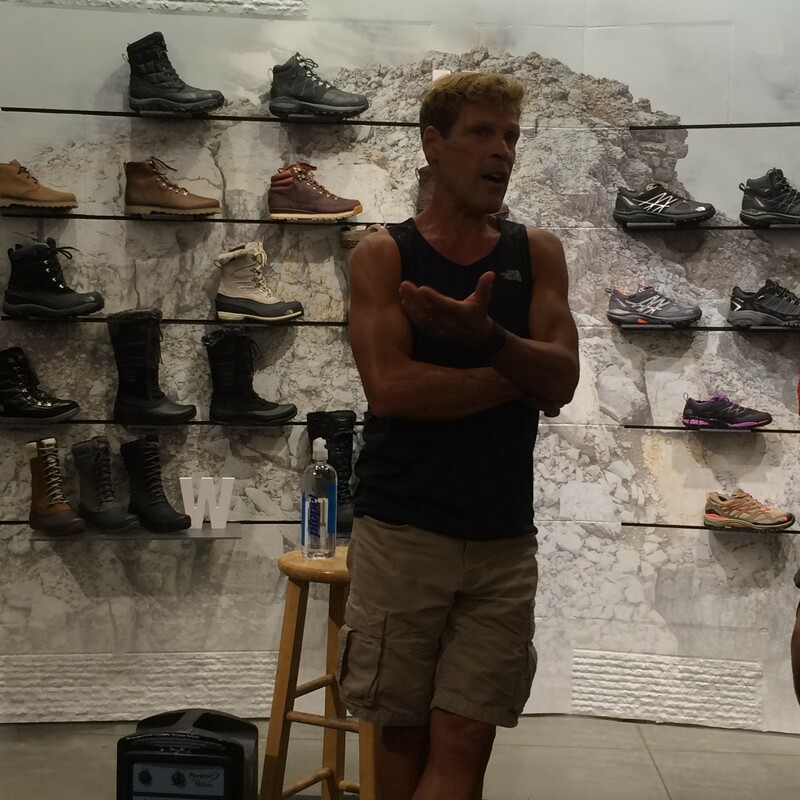 Ultra Runner Dean Karnazes talked about how he runs for the love of running and the adventure and he loves to interact with all of the people that he meets including when having pizza delivered to him on the trail. When asked how he pulls through tough moments during a race he said that it is important to be present in the moment and and to only focus on putting one foot in front of the other. He told us to not throw the towel in unless you know for sure there is some reason that you should not complete an event. 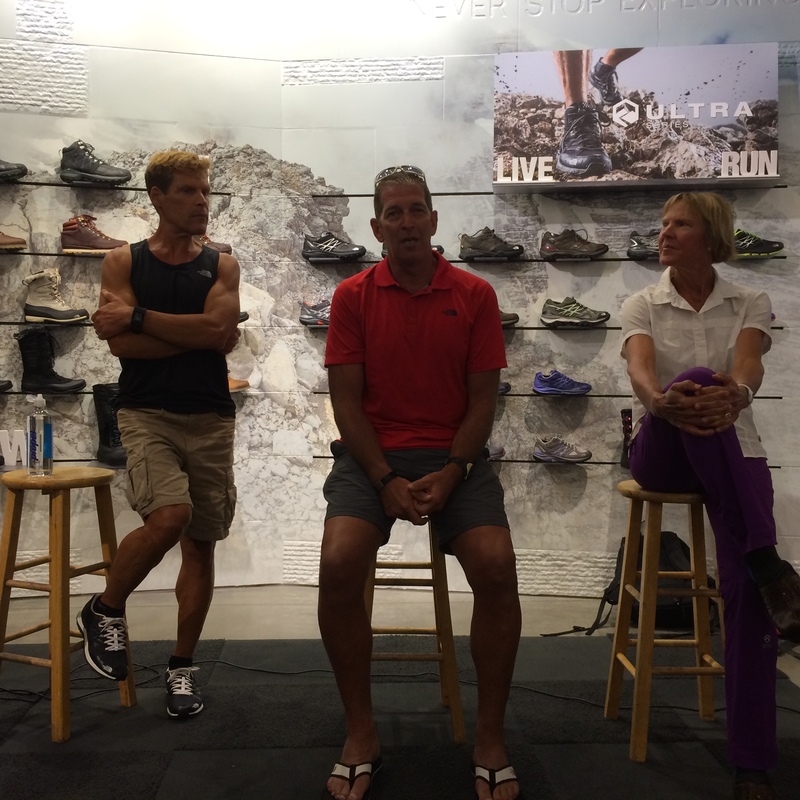 Dean Karnazes said that even a slow walker will arrive. 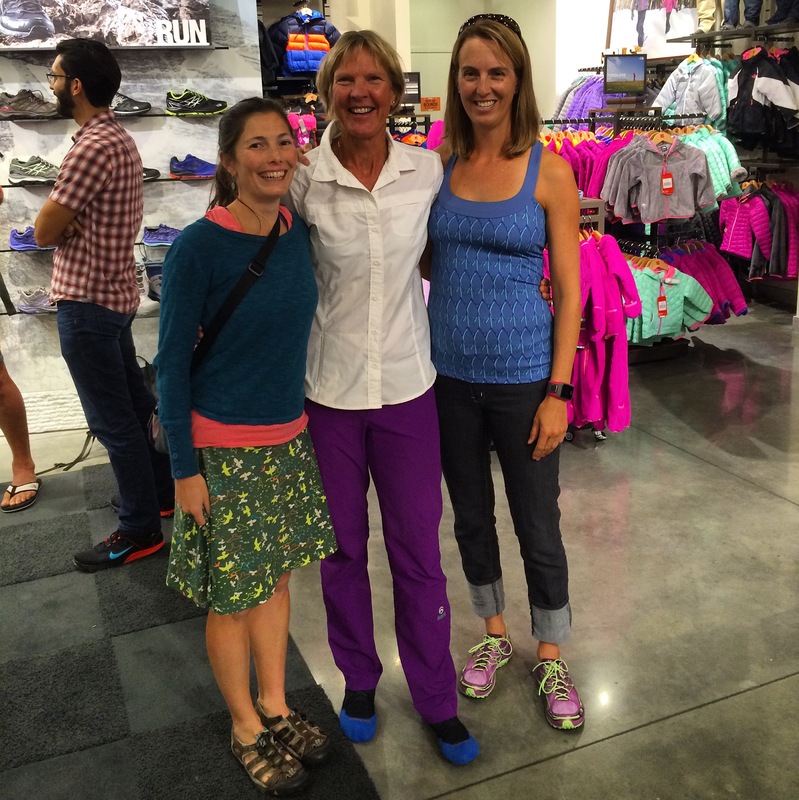 Diane Van Deren is a North Face Athlete who even won the Yukon Arctic Ultra 300. She was so down to earth and talked of her passion for running. 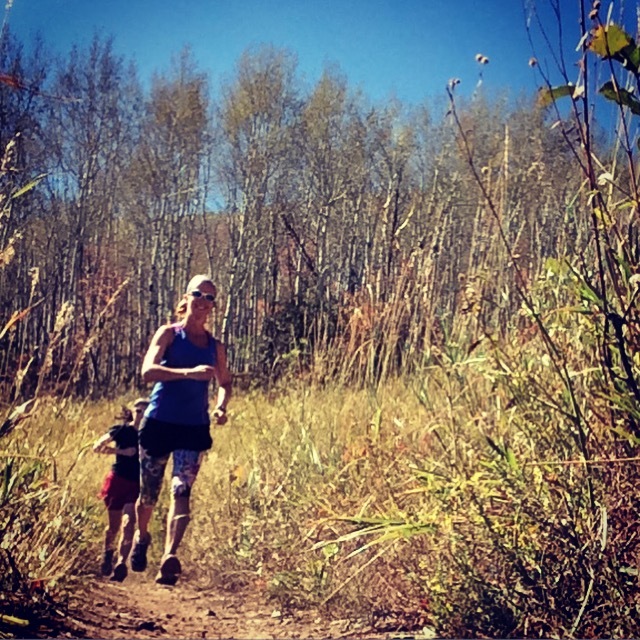 She says she never thinks about just one race that she is doing because it can make the race seem too intense and then you can lose the fun of running. She said when you run you need to listen to the rhythm of running and that its ok to pause and regroup when the race gets tough. She is someone who always puts her family first. She truly radiates passion for running! Race director Nick Moore spoke about the course, cut-off times, aid stations and about the occasional moose that might mosey by during the race. He talked about how to stay safe on the course and also course markings. I can truly attest that the course was amazingly well marked. Each distance had its own color ribbon to follow which matched your bib and the markers were easy to find and follow. Nick was super enthusiastic about this race venue and told us about the spectacular views that we would be experiencing along the way. 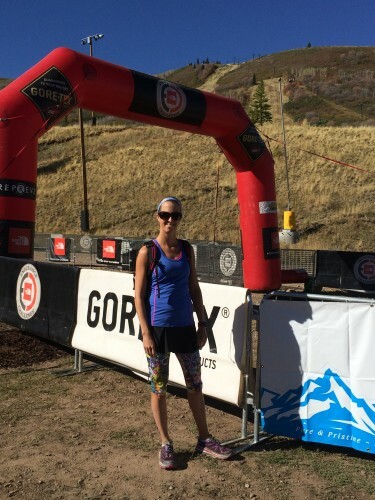 This was the second year for the North Face Endurance Challenge in Park City, Utah. After attending the pre-race meet-up Bridget and I were excited to run and hydrating like crazy in an attempt to keep altitude sickness at bay and also because of the expected 80 degree+ temps for the race the next day. We also loaded up on pasta at a simple Olive Garden dinner, nothing fancy and reminiscent of my rowing days when this would be often be our night before race restaurant. What an adventure we had in store for us the next day! UP NEXT: The North Face Endurance Challenge Part II, Race Day! Who are the most inspiring athletes that you’ve ever met. Where was your craziest or most memorable race? Congratulations Erin D! 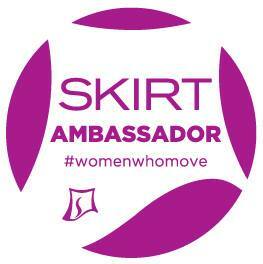 Erin is the winner of the Skirt Sports Vixen Capri! I would have been so nervous! But I guess you really didn’t have time to be nervous….I’m looking forward to your recap! 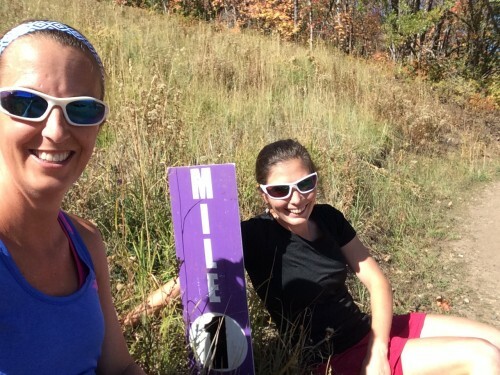 Glad you had a chance to come enjoy our trails. I was the marathon sweeper and didn’t catch you so hopefully that means you finished the race! So wicked awesome!! What a great experience! Listening to Dean Karnazes must have been totally inspriring! The altitude is no joke. We lived in CO for 4 years and I felt like my body never adjusted with running! Hey did you ever do a recap of the actual race? I can’t find it on the site here….